You awake to find yourself looking down at a pool of your own blood, a small crusher on the side along with a rusty dagger and a pair of tongs. Though looking down at your own body you find no damage to your body, so where did all the blood come from? You shake your head and simply think "It must be someone Else's" as you stand, looking towards the door as you plan to leave. Problem Fixed. A Vital File had somehow disappeared. But oh well. Here it is. Gamefront does not allow me to download files. I click the download button, and it takes me to a new screen. Then my security will try to prevent the download. When I tell it to go ahead, it takes me to the prior page, which leads me in an endless loop. Ah. I am sorry that I cannot fix that for you. However if you wish, I can send you it Via skype MSN or Email if you wish? Add Gamefront to your trusted sites. To do that in IE, go to Tools>Internet Options>Security, then click the green checkmark labeled Trusted Sites, click the button labeled 'Sites', uncheck the checkbox at the bottom requiring the https prefix, then add www[dot]gamefront[dot]com. I had no issues downloading or installing this, but the mod ended up completely glitching out on me a few maps in. I'll send you a message with specific details if you'd like, so I don't spoil the map if it's working for others. I cant play it, it automatically goes to something that wont allow me to play the game. Like, adobe player or something. How do I ACTUALLY play the game? What are the mods even for? They dont even help. Well not to sound like a total *** but I am calling you out as a Troll. If you looked you would know exactly what game this was for. I suggest going to the summary and looking at the box on the right hand side. um i know this is kind of late or whatever but are all the parts linked together as a story or are they all individual stories??? Hello pete44, I'm also sorry for being utterly late, it has been ages since I dropped this project due to College / University taking over. Originally, yes the story was about Jacob, a meta-human who was impervious to death (Think of Chas Chandler from the Hellblazer comics or the Constantine series). You would go through the castle / mansion / many places I had in mind dying and returning back to life with another purpose. 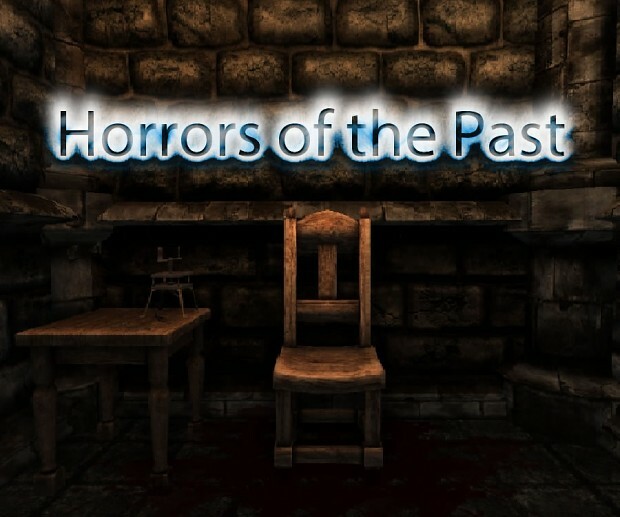 However each scare was supposed to be linked to the character's past life, so there would be returning scares such as doors being broken down by monsters and more wardrobe monsters (Wardrobe monsters stemming from a child's fear of monsters being in the closet or under the bed) I still have the Chapter 3 files on my main PC somewhere and I may end up releasing them as a standalone expansion at some point if I ever get round to finishing them.